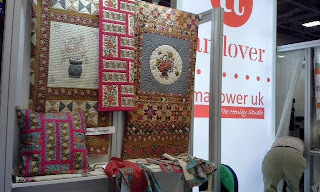 My presentation at School House during Spring Quilt Market in Minneapolis went well. I guess all that fretting before hand paid off. Picture of Dargate Treasury quilts hanging in the Andover booth. We will have patterns later this month for all.